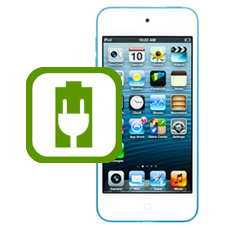 Does your iPod Touch 5 have charging problems or a connection issue when plugged into a computer running iTunes, these faults are usually the result of a broken or damaged lightning dock connector. We can offer a dedicated low cost repair and replace the iPod Touch 5th generation dock connector with a genuine original Apple part, restoring your iPod Touch 5 back to working order. Based upon your description of the issues, this fault is probably a software related issue and not a physical hardware fault. Firstly please update your iPod firmware to the latest version of iOS, also update your version of iTunes to the current version, then I suggest performing a backup of your iPod Touch, then using iTunes perform a restore and then see if the issues you describe are still present. If you still have issues please contact us.